The Cooking Actress: Baked Parmesan Chicken "Fries"
3 chicken breasts, halved and cut into 1/2 in. strips. Line a rimmed baking sheet with parchment paper or silpat. Preheat oven to 400 degrees. Put Parmesan and Panko in a food processor, pulse until combined and uniform in size. 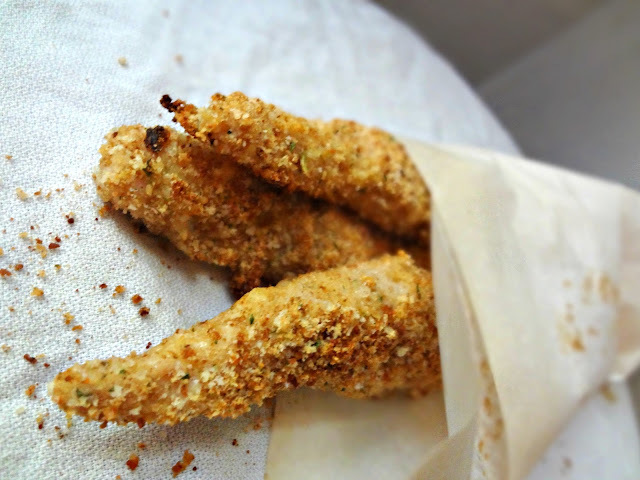 In a dish, combine Italian breadcrumbs with the Panko/Parmesan. In a medium dish whisk eggs, some pepper, and buttermilk. 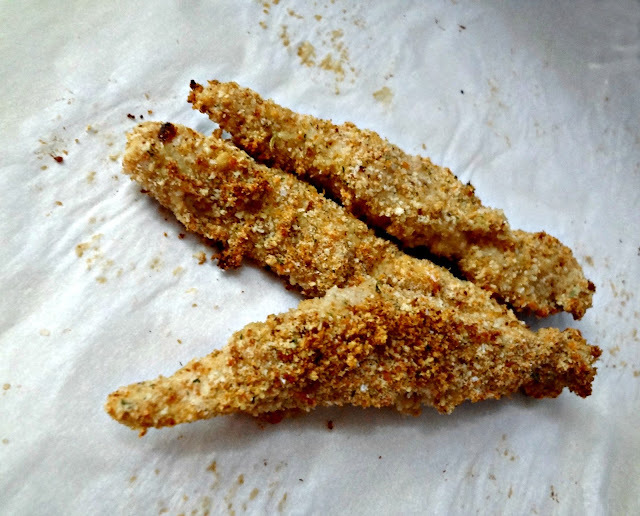 Dunk chicken strips in the egg mixture, let the excess drip off, and generously coat in the crumbs, pressing to make stick. Arrange the prepared chicken on the pan. Bake 15-20 minutes, should be golden and crispy. 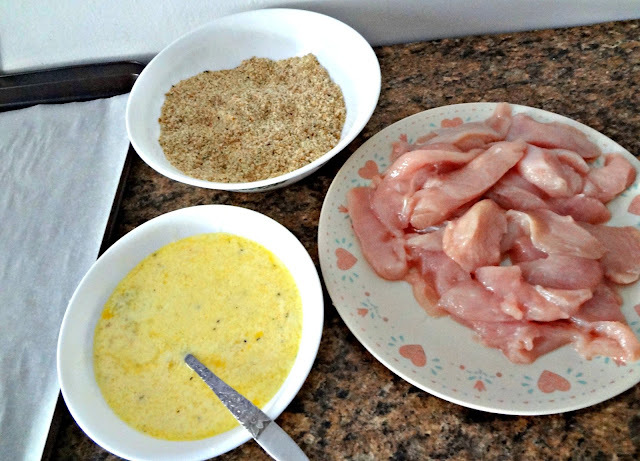 Sprinkle Kosher salt over the chicken.